Since 2001, the Asian Regional Human Rights Defenders Forum (AHRDF) has been a biennial event that provides a platform for human rights defenders (HRDs) and women human rights defenders (WHRDs) to discuss their work and advocacy efforts, sharing experiences and challenges they face. 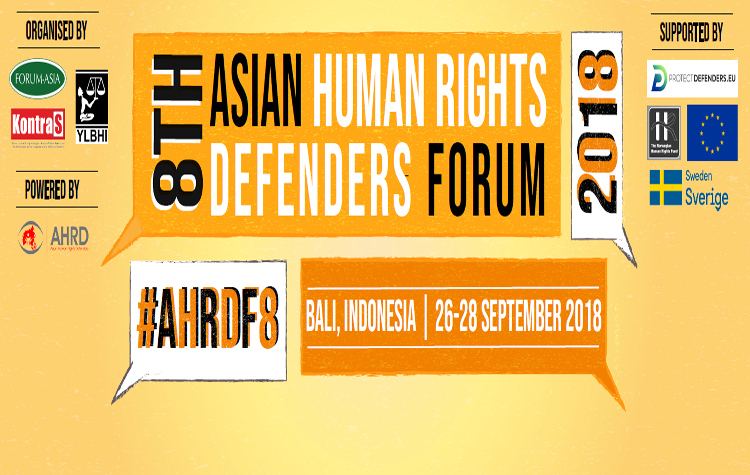 This year FORUM-ASIA, together with its member organisations, the Commission for the Disappeared and Victims of Violence (KontraS) and Indonesia Legal Aid Foundation (YLBHI) organised the 8th AHRDF in Bali, Indonesia on 26-28 September 2018. The general objective of the Forum is to have improved protection of Asian Women/Human Rights Defenders by connecting them to regional and international solidarity networks, experts, and the United Nations (UN) special procedure mandate holders. It also aims to provide learning from examples of good practices on protection measures at organisational, national, regional and international levels. Around 160 representatives of human rights defenders, civil society, academics, donors and inter-governmental organisations participated in this event to discuss pressing issues in the Asian region and shared good practices and strategies. In addition, there was a space for solidarity during the Forum. On the occasion of the 20th anniversary of the adoption of the UN Declaration on Human Rights Defenders, the Forum’s discussions aimed at encouraging Asian human rights defenders and allies to reflect on the 20 years of struggle. The discussion also covered the achievements and failures of the international human rights mechanisms to provide protection for defenders on the ground, and to find ways to move forward human rights movements in Asia in the future. According to the United Nations, Human Rights Defenders (HRDs) is a term used to describe people who, individually or with others, act to promote or protect human rights. HRDs are identified above all by what they do and it is through a description of their actions and of some of the contexts in which they work. This means that HRDs can work on a specific right (e.g. right to safe and healthy environment, freedom of expression, education, etc), or focus on advancing the human rights of a specific group (e.g. women, religious minority, disability group, etc). It can be done at a local, national, regional, and international level. Not all HRDs are professionals. 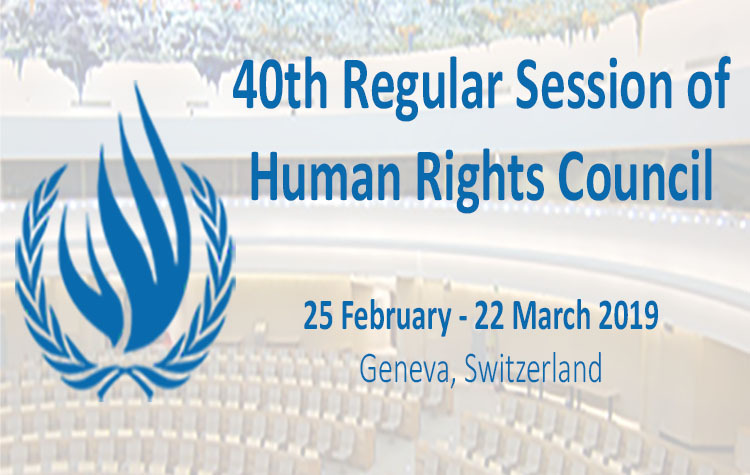 Anyone who is defending human rights in a non-formal context can be an HRD. A student that helps to organise a movement to eradicate torture in prison can be an example of an HRD.